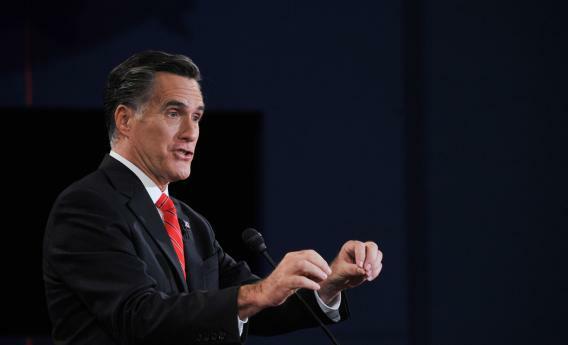 Obama and Romney debate: Guess who floated the far-left education idea? The Far-Left Education Idea Floated in the Debate by … Romney? Photo by Nicholas Kamm/AFP/Getty Images. Mitt Romney has floated the most radical, furthest left idea currently in the mainstream education debate: to allow poor and disabled schoolchildren to move their federal education funding across district lines. Romney first outlined the idea in an education policy white paper he released in May, and he reiterated the proposal during the Wednesday debate. Coming from a Republican, this is a big deal: Historically, affluent and white parents and school districts have gone to great lengths to keep poor, nonwhite kids out of their own kids’ classrooms. Those of us concerned about the resegregation of American schools have long advocated for more partnerships between urban and suburban districts, through magnet schools and voluntary busing programs. But this is typically understood as such a lefty proposition that not even the Democratic Party will embrace it. The Obama administration’s signature school reform program, Race to the Top, did nothing to encourage school integration or allow children to attend schools outside of their home districts—an important right, since many failing schools are located in districts where almost every school is underperforming, and those that aren’t have overflowing wait lists. Unfortunately, Romney’s idea is unlikely to go anywhere. For starters, only about 10 percent of American education funding comes from Washington (the rest is provided by state and local governments), so making a child’s federal funding portable would not come close to accounting for the full cost of a Bronx student attending the Scarsdale public schools. And the math would be really complicated, because districts don’t receive a set amount of federal funding per poor child—they are funded in part based on the proportion of their student population that is poor or disabled, in recognition of the fact that school systems serving a large high-needs population face special challenges. Most critically, Romney hasn’t explained by what mechanism he would require high-performing schools to accept disabled, poor, and potentially low-performing students. For most schools, federal dollars alone would be no incentive at all to do what’s right in this regard; the receiving schools would need to be compensated for both the full cost of that child’s basic education and the special services he or she requires (like academic enrichment and emotional counseling), as well as for the space and resources that child would take away from members of the school’s native population. No president can wave a magic wand and undo the strictly localized nature of the American public school system. If we want to blurry the far too harsh lines between school districts, we need cooperation at every level of government: federal and state funding incentives, of course, but even more crucially, actual laws and regulations requiring wealthy districts to cooperate with their less affluent neighbors.